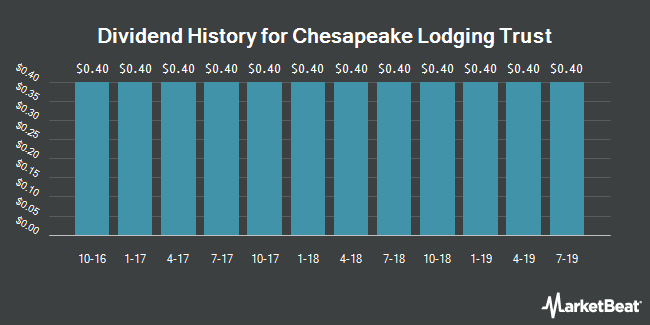 Chesapeake Lodging Trust pays an annual dividend of $1.60 per share, with a dividend yield of 5.65%. CHSP's most recent quarterly dividend payment was made to shareholders of record on Monday, April 15. Chesapeake Lodging Trust pays out 68.38% of its earnings out as a dividend.